I want to thank everyone at Wilsonville Subaru for the professionalism show by all members of you company and for making my car buying experience a enjoyable and memorable. You staff took great pride in helping me through the process of getting my new 2019 Outback. I am extremely pleased with my Subaru and will pass on to all my friends and family. Thank You from the Frakes Family. I have had pretty big issues with this dealership and communication and had almost given up hope. That was until I met Danielle Schoenborn. She really cares about the Wilsonville Subaru and the dealership's customers. Danielle has really gone above and beyond my expectations and I am really grateful I found someone to work with. Danielle can actually comprehend my wants and needs for the work I want done and keep in touch from start to finish. Not only that but Danielle makes sure the work done right. Just over a year ago we purchased a new Subaru and our service was just ok. I really liked the one person concept, but when we were asking about extras for the car to finance into the loan we got less than par service and left feeling like we missed out on some pretty sweet extras. We really liked that we could get the lift and tires on the car so a year later, we went in for another new Subaru and our sales guy was pretty freaking sweet. He answered all of our questions and even walked my husband over to talk to the services guys about all the stuff he can do to the cars. He worked tirelessly to get us out of the negative equity and into a new Outback with a lift and tires. He was a great sport about our kids running around, and made us feel like we weren't a burden and like he wasn't just trying to get us into a new car and out the door. He made up for the ok buying experience we had previously with an extraordinary buying experience. Whenever I get asked about my sweet new ride, I just give them Flo's card and tell them to go see for themselves how awesome he is. Daniel's transparency, knowledge, patience and upfront attitude is what I appreciated the most during our visit. Daniel assisted my husband and I from start to finish so I was able to get him to know a bit better as a person and not a pushy salesman as other dealerships tend to have. Definitely recommend! REVIEW OF SERVICE DEPARTMENT I have had pretty big issues with this dealership and communication and had almost given up hope. That was until I met Danielle Schoenborn. She really cares about the Wilsonville Subaru and the dealership's customers. Danielle has really gone above and beyond my expectations and I am really grateful I found someone to work with. Danielle can actually comprehend my wants and needs for the work I want done and keep in touch from start to finish. Not only that but Danielle makes sure the work done right. Came in to see different vehicles as I was new to learning about the different Subaru models. My experience started with meeting Daniel Ramirez. Came in just wanting to look and he totally understood and was patient with me. Decided not to pull through with anything. Kept great communication with me and even picked me up the day I told him I wanted to have a second look at a vehicle. The experience turned out so well that I drove out with a new 2017 Subaru Impreza. Even after Daniel stays in contact to see how I am doing and how I’m loving my car. I would recommend anyone to ask for Daniel as he truly makes the car buying experience great! We had such a great experience at Wilsonville Subaru. We were in and out with a brand new Crosstrek in under 2 hours, we and our dogs were treated wonderfully, and Daniel was the best ever. Thanks for the best car deal experience of all times. I went to Wilsonville Subaru because I had heard that the sales staff do not work on commission. One of my least favorite aspects of buying a new car, at least in the past, has been a sales person following us around the lot while we look at cars, even when I kindly asked them NOT to - it is very intimidating and annoying. While we were approached by Brent, it became clear that he was happy to point us in the right direction and hang back until we had questions. But Brent was so personable and easy to interact with, that we ended up having him accompany us as we looked at cars. He was extremely knowledgeable, kind, patient, and fun to work with. What is usually a stressful, even unpleasant experience, turned out to be pleasant, efficient and even enjoyable! 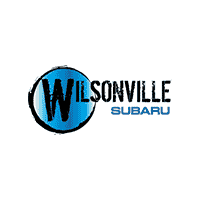 THANK YOU WILSONVILLE SUBARU and a HUGE shout out to Brent Venishel!!! REVIEW OF SERVICE DEPARTMENTI have had pretty big issues with this dealership and communication and had almost given up hope. That was until I met Danielle Schoenborn. She really cares about the Wilsonville Subaru and the dealership's customers. Danielle has really gone above and beyond my expectations and I am really grateful I found someone to work with. Danielle can actually comprehend my wants and needs for the work I want done and keep in touch from start to finish. Not only that but Danielle makes sure the work done right.